It has always been at the forefront of our business to utilize our platform to take what we make and give back in as impactful a way as possible. We believe in supporting both our local and national community by feeding both their bodies and minds. To do this we have made it our top priority to form relationships with some awesome partners to ensure that from Day One of our company being live, we can do whatever possible to support all those who need it. After all we wouldn’t leave family hungry on the streets and to us, you all are family! It’s hard to imagine living in a way in which you are never fully sure where your next meal will come from. Unfortunately, for far too many people this is their reality. That’s why, with the help of Feeding San Diego, CYP Foods has vowed to do what ever we can to help supply food to those who need it most. No ifs, ands, or buts. If you are hungry and in need of food the wonderful people at Feeding San Diego and their community partners will welcome you with the warmest of smiles and give you the help you need, no forms or background checks required! Most charities ask you for pennies on the dollar or to round up your total, but here at CYP Foods we have vowed to do the heavy lifting! Whereas too many companies would raise their product price to compensate for their charitable actions, our prices are staying put. Giving isn’t truly giving if you cut corners, after all. Regardless of which butter you purchase from 7.99-17.99; 1 dollar of each and every jar will be donated. That means that for every delicious jar you choose to enjoy, you are helping to supply 4 meals to someone in need. That is an ENTIRE day that someone doesn’t have to be hungry! What could be better than that? Well we here at CYP Foods don’t want you to feel like we have little to no stake unless we sell product so that’s why we have vowed to donate a minimum of 30 dollars every month, regardless of our total sales for that period! That’s Right! CYP Foods promises to supply 120 meals at a minimum, each and every month so that we can Feed San Diego, one bite at a time! To learn more about this amazing organization, please feel free to visit their site using the button below. If we have sold you on how amazing this cause is… well then its time to start shopping and feeding San Diego! Here at CYP Foods we believe that nourishing the bodies of our community is a good start, but it’s not the only thing that matters. That’s why we have partnered with the outstanding people at the National Eating Disorders Association. You may be wondering, ‘Why NEDA?.’ Well, call it a personal favor. As a young vet, engineer, and entrepreneur (to name a few) our founder, Jacob Stanford, can personally attest to the immense impact that this amazing organization can have on the world. As someone who overcame his disorder, Jacob is living proof that help is out there and can work. For him, it began with a phone call to the National Eating Disorder Association. The National Eating Disorders Association provides top-notch services all in the name of stomping out one of the most critical mental disorders facing our community today! Through amazingly thorough and thought out methods NEDA has proven programs established to help those of us who are in need of it the most. Not only that, but they have a resource helpline for anyone currently in the midst of overcoming their disorder. We, here at CYP Foods, value the work of NEDA so much that we are dedicated to doing whatever possible to work toward reducing the numbers of those battling this illness! 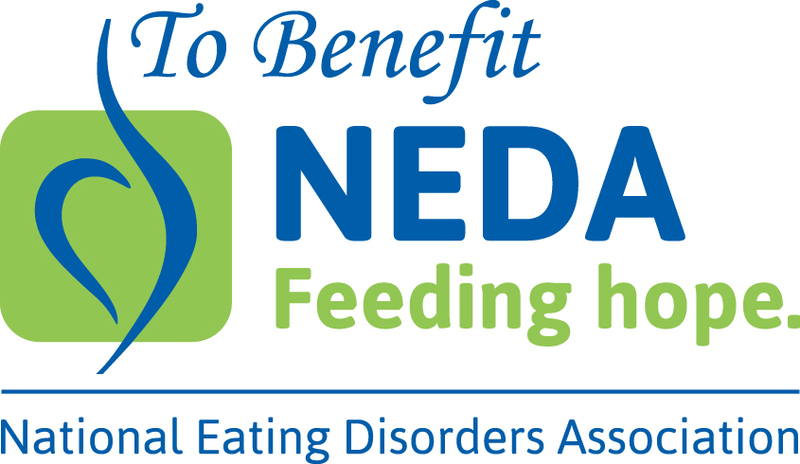 NEDA is the largest non profit combating eating disorders. In the United States, 30 million people will struggle with an eating disorder at some point in their lifetime. NEDA’s mission supports individuals and families affected by eating disorders, and serves as a catalyst for prevention, cures, and access to quality care. By end of 2018, NEDA will have given over $1.5 million dollars in research grants since 2013. In 2018, NEDA advocated and succeeded in reallocating $5 million dollars of federal funding to eating disorders research. In 2018 over 2.58 million individuals have accessed resources they have provided. It’s reasons like that which solidify are belief in the AMAZING things that this organization is capable of! That’s why in addition to producing media and public events aimed at supplementing information around eating disorders, CYP Foods vows to donate 10% of our monthly sales to go directly to NEDA! Please, please, please: If you or someone you know is struggling with an eating disorder, know that help is out there and recovery is possible! I promise you that no matter how far the destination or treacherous the journey may seem, your goal is obtainable, I can personally attest to that! If you feel discouraged by your progress, know that even the most minute movement you make: forward, lateral or even backwards is a significant improvement over not doing anything. Believe me, recovery is real and I believe that you are worth it and I believe, with every once, inch and fiber of my being that you can do it! Again, if you or someone you know is facing this illness, you are not alone. Please don’t be afraid to reach out for a hand to help you out. That’s why community was my primary focus when I started this company because I know when we each do our part then we can finally achieve the reality of moving toward a healthy, thriving community. Do not think for one second that supporting our product is all I am worried about. I truly and honestly care, from the bottom of my heart, for each and ever one of you in my community, locally or nationally. That’s why I will walk this journey with you personally. It could be one step or one billion I vow to do everything in my power to support the profound cause of NEDA and helping to feed Community. I will do all that I can to feed all of you, my Family and on this word I vow to do everything I can to feed hope. Please use the button below to learn about the beautiful services that the National Eating Disorders Association has to offer! So if you will take this journey with me, please support our cause in buying some of our one of a kind nut butters and let’s work together to Feed Hope! Text "NEDA" to 741-741 to be connected with a trained volunteer at Crisis Text Line.